It helps relax the nervous system by simulating the feeling of being held or hugged. 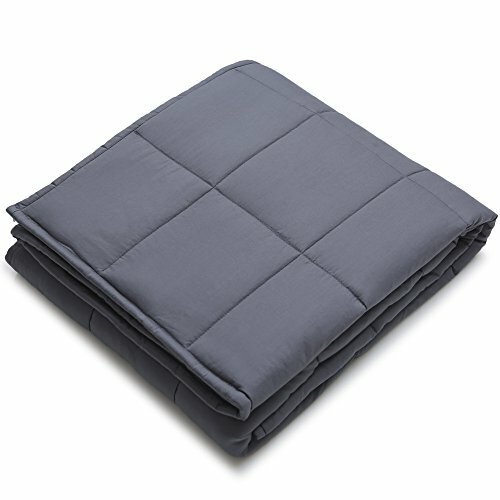 1,We work closely with the world’s biggest manufacturing company of weighted blanket so we can rapidly develop and expend the sizes, styles and colors of the weighted blankets so here you can choose a perfect weighted blankets for every one of your families or your friends. 2, We pick the blankets directly from the plant to our customers so we can maximize savings to our customers. 3, Customers satisfaction is our first priority. 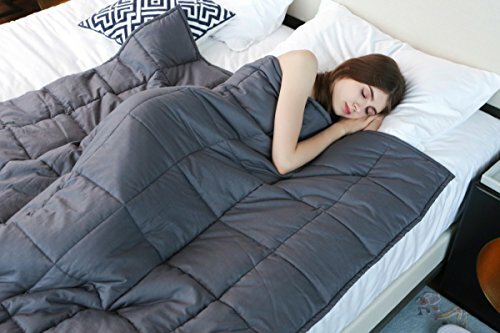 100% product satisfaction is guaranteed.A weighted blanket engineered to be 10% of your body weight to naturally reduce stress and increase relaxation. please choose the weight according to your body weight. The weighted inner layer is made of 100% cotton and its compartments are filled with hypo-allergenic, non-toxic, odorless, sand pellets which feels more delicate and comfortable than plastic pellets. 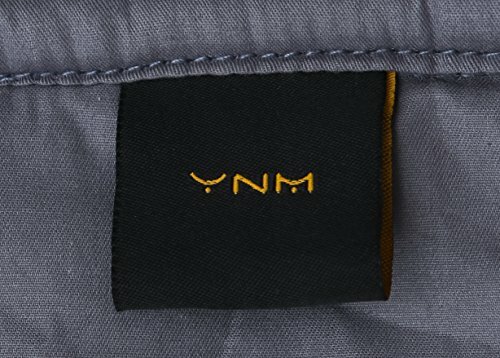 The weighted inner layer is machine-washable on a low, gentle setting. Better dry clean or purchase the removable duvet cover for durable service life. Air dry for best results. The weighted inner layer and the duvet cover are sold separately. In warm days you can use the inner layer without cover and in cold days you can add warm removable cover to the inner layer. A good gift for you and your loved ones. The heavy blanket helps relax the nervous system by simulating the feeling of being held or hugged and make you fall asleep fast and sleep better.